The 3rd EP spawned from Vince Clarke (Yazoo/Erasure) and Martin L. Gore's (Depeche Mode) 'Ssss' LP arrives with LFO and Alva Noto remixes. The album's crossover appeal to more "experienced" rock, pop and dance arenas has earned it a wealth of support with the likes of The Quietus, who named it their #2 album of 2012 so far, and also from the likes of The Independent, Uncut and NME. 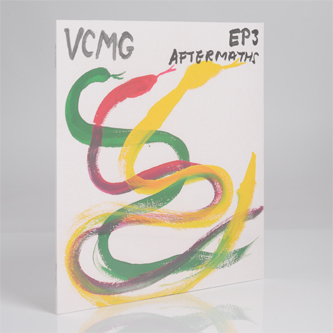 The taut studio workout 'Aftermaths' appears on the A-side, putting a glitchy, modern spin on slightly dated Germanic Techno styles. LFO's remix is cooler, tucking the rhythm with a finer flex and swing under a woozy, narcotic cloud of synth evaporation and metallic stabs. Alva Noto's remix is better yet; an epic stretch of roiling bass, spiky digital rhythms and proper darkside atmosphere. Tipped!